This week’s show is a special edition, because I just have so many lessons to share from doing the 10,000 calorie challenge with my friends Raph & Lachy at the Mind Muscle Project, and a friend and client Corey Pitts from Plus Fitness and Performance. And it’s funny because next week’s show will be about how to lower your environmental impact through diet, without going to extremes or even needing to be vegan. Flying 1000km to eat 10,000 calories is definitely NOT the way to achieve that goal. Overall, the 10,000 calorie challenge was a positive experience that I will never do again. [03:00] Recruited to help my friends Raph & Lachy from the Mind Muscle Project complete the 10,000 calorie challenge. [10:38] Lessons Lachy took away from the chip dip experience. [13:32] Lachy unexpected observations about the role of liquids. [16:23] H0w my body reacted to fasting. Welcome back to the Beyond Macros podcast, we are the sustainable transformation nutrition coaches, and our show will help you get leaner, and perform better in a way that last with episodes about nutrition, recovery, and the all important art of inner work. I will be taking 10 people through the beta program which will be half priced starting April 15th. Friday April 5th is the last day to apply for the Beyond Macros Certified Coach beta program, and as of this recording I have the applications to fill the available spaces, BUT I’d love for you to apply if you’re right for the program. Just because we have the applications to fill the spots, I am being very selective and want the RIGHT coaches in this program. And if anyone I invite declines their invitation to join or fails to pay their deposit, you can still get on the waitlist to fill those spots by applying before April 15th. So if you are a nutrition coach who is already working with clients, and want to learn how to take your service to the next level, head over to beyondmacros.com/certification to learn more and apply. Now let’s get in to this episode! For those of you who don’t know, I was recruited by my friends Raph & Lachy from the Mind Muscle Project to help them complete the 10,000 calorie challenge after an Epic fail last time the tried. two so unsuccessful the first time made some big changes, thanks to Matt help the second time around. And obviously, the motivation of having the man himself there was super useful. Leading up to the challenge, I had all of these awesome education points I wanted to touch on throughout the day while we were filming, but it turns out eating 10,000 calories takes all day. So, I decided to share those lessons with you here. Mostly because I used teaching them as justification for doing the challenge. And then the night before the dread set in. 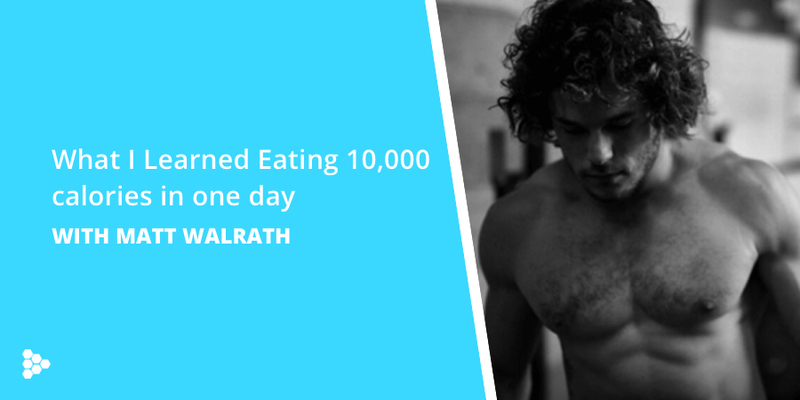 10,000 calories isn’t easy, and it didn’t serve any of my goals. Part of me wanted to quit before it even started and just support Raph and Lachy on their journey. But ultimately, I went all in and crossed the finish line with the fellas’ and I am so grateful I did participate because of the unexpected lessons that I will also teach you about today. Last year Raph & Lachy got some bad advice from our mutual friend who is a bodybuilding nutrition coach. He told them that fat would slow their rate of gastric emptying and that they should attempt the challenge by eating pretty much all carbs. Unfortunately, even if you ate 2.5kg (5.5lbs) of pure cane sugar you would just touch 10,000 calories. Compare that to fat where you’d only have to eat 1.112 kg (2.45lbs) pure fat to cross the 10,000 calorie threshhold and you can see why that was a poor strategy! So this year I made two meal plans (which you can check out here) that would make it EASY to eat 10,000 calories in both a healthy way, and a ‘dirty’ way. Stick to eating whole, nutrient dense foods. Avoid hyperpalatable foods (meaning, very tasty/addictive). 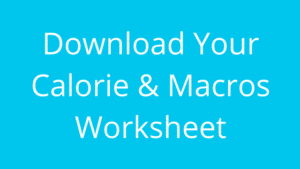 Minimize added fats, because it is the least satisfying macronutrient. Eat slowly until satisfied, not full. Lots of processed foods, no vegetables, fruit, or lean protein sources. Heaps of hyperpalatable foods, which are generally a combination of fat and carbs: chips, ice cream, candy, burgers, pizza, etc. Lots of added fats: aioli for fries, cook everything in oil or butter, mayo based sauces on burgers, trail mix, nut butter in smoothies, etc. Eat everything as fast as possible so are gut doesn’t have a chance to tell our brain we’re full. Soda, energy drinks, and sports drinks. Aside from breads, sports drinks, and alcohol most of these top 10 foods contain a large amount of both processed fat and carbohydrate in combination. And that combination of fat & carb makes the foods both so tasty that you keep eating, and also so calorie dense you don’t realize how quickly you can pass the 1000 calorie mark in a single snack! Breaking all of the rules of fat loss did help us get over the finish line, and eating the standard American diet definitely made it much easier to get the calories in. When I switched from clean foods to standard foods I was buzzing with energy. I could even bust out handstands, whereas I felt much more full in the first half of the day when we ate more whole, healthy foods. With the whole foods, even calorie dense ones like trail mix, I felt like I was on the verge of spewing as we rounded out those meals. And that’s the most unexpected part about the challenge. I am great at following a written program. And I thought I would be sticking 90% to the health nut meal plan. But I pretty much had to start eating the dirtier foods to keep going. And palate fatigue was a real factor as well. Ever finish a big dinner and feel so stuffed you couldn’t possibly have another bite of steak. But then dessert rolls around and you eat a whole brownie a la mode? That there is an example of how switching up flavors can lead to overeating. Your palate fatigues on certain tastes- salty, rich, sweet, etc. So by eating something on the other end of the taste spectrum you can overcome that palate fatigue. Many processed foods not only combine complementary flavors which delays the onset of palate fatigue, but they also build in that addictive taste quality that tingles the pleasure centers of your brain in such a way you keep going back for more. I usually HATE sweet candy. I much prefer chocolate. But after the first pint of ice cream after lunch I found that 1000 calories of sour gummi worms was the easiest 1000 calories of the day because of how DIFFERENT it was than the rich, creamy ice cream and the fatty, oily pizza before that. The other thing that majorly delayed my palate fatigue was the herbed mayo that came with my chips at the burger joint. The herbed mayo was about 200 calories in what appeared to be a 2 tbsp serving. Between a small-ish tray of chips and two servings of sauce I crushed about 1000 calories and could have kept going! Lachy took away some lessons from the chip dip experience as well. 2 - 1:47-2:05 So using those chip dips, that's an easy $200 per dips and the small, the small, I mean, you can get through a whole different like five or six chips, if you've been generous are so many hidden calories there that you just don't really consider into the accounting, everything that goes into your body and you're trying to maximize all the calories that go into your body. One thing that absolutely blew my mind was how little fiber I ate. I know the number would be low because I was avoiding produce which generally contains a good amount of fiber, and eating lots of fats which contain none. Yet I only managed to consume 18g of fiber. Compare that to a whopping 655g sugar by the end of the day! I also made some really interesting and unexpected observations about my body. I found it quite difficult to belly breathe because of the full stomach. I was also hunching my shoulders, rounding my upper back, and breathing into my shoulders and chest. This chest and shoulder breathing is a stress-response breath. A good ol’ feed & breed breath drops deep into the pelvic floor. This leads me to believe that people who habitually overeat are unfortunately in a sympathetic state during digestion where you would want to be in the parasympathetic feed & breed state. I stayed with a friend who is a Chek level 4 practitioner and lecturer the following night and he pointed out that the pancreas and liver are innervated via the very point in the thoracic spine, the T9, where my back was the most rounded, or kyphotic. He hypothesized that this position might affect nerve transmissions. The pancreas and liver both are pathways for bile to reach the intestines to help process fats, and the pancreas as we know also has the job of regulating insulin. He postulated that in addition to the breathing and nervous system states, digestion would be further hindered by that body position of being overly full! Just another reason to eat until you’re satisfied, not full! One thing I 1000% expected to experience was consistent food comas. But the constant supply of carbs to the brain had me absolutely pingin. We walked over 24,000 steps, did a bodyweight workout, biked, and even bodysurfed. I was bustin handstands all day. I was so energetic, and it makes sense because calories are energy! The only time I thought I was going to go into a food coma was after chugging a gatorade. Which was a terrible idea considering we were past the 5000 calorie mark at that point. Lachy also made some unexpected observations about the role of liquids. 3 - 0:18-1:31 ook, some of the biggest takeaways and changes that I made from the first time was very little caffeine. Caffeine is an appetite suppressant. So we consumed far less caffeine This time, I thought maybe because it is acidic, and it is better that they would aid digestion the first time around. But that, even though that might be slightly true, it's not outweighed by the fact that it does suppress your appetite. So getting ready, caffeine was an important one. The other one was actually drinking water with food. So let's take for example, a pizza that we ate. Now the pizza was really easy during you know, the first part of the slices, but it's gets really difficult towards the end of the class, as you get towards the crust. As the oil dries up as a mouth dries up. As you get sick of consuming that same thing. over and over and over again, using water as opposed to any other liquid is just much easier to wash it down with if you deal with like something fizzy like a soft drink, while you find is it will actually the bubbles will build up and will blow you and it will make it harder to using water to wash food down as you get to the end is actually good tactic. And it's what all the speed dating champions to learn a lesson from them. So that was super useful. Lastly, I experienced less of a thermic effect than expected. If you’ve ever heard the term “meat sweats” that effect is likely because protein has a very high thermic effect. Essentially a good deal of the energy in protein is lost to heat and your body processing the proteins to be assimilated into your tissues. I did eat a ton of protein. 340ish grams total. But early in the day most of my food came from fats which have almost no thermic effect. So I wasn’t heating up from the inside via this thermic effect of food until we started crushing more protein and carbohydrate later in the day. Now everyone was interested in the aftermath of the challenge. I had at least 6 questions on Instagram DMs about the pain level and volume of my bowel movements. What ended up happening is not as dramatic as people imagined. I pretty much went from 2 up to 4 bowel movements in a day and they were all quite normal in terms of single sitting volume. The interesting thing is I fasted for a full 48-hours after the challenge yet was still hyper-regular during that period. What I did find interesting was that my urine smelled sweet the day after the challenge, which apparently is something diabetics with uncontrolled blood sugar can experience. Makes sense considering I consumed 655g of sugar! Going back to the fasting comment I made, my body did not send me one signal that it wanted to invite food in until the 48-hour mark. I had some bone broth initially to break the fast before resuming my normal dietary patterns. One of my goals with the fast was to starve out any overgrowths of yeast or bacteria that would have thrived on the opportunity to feed on the excess sugar I was consuming. After breaking the fast I started taking oregano oil, which is an herbal antimicrobial to further cull any unwanted overgrowths. I did experience a herxheimer effect which occurs when yeast and other microbes die off. They release certain toxins when they die which can cause brain fog and a bit of soreness at the low end all the way up to full on flu symptoms in extreme cases. My effect essentially had me quite lethargic on Tuesday and Wednesday. I took this as a cue that I did probably feed a bit of an overgrowth, and continued to intermittent fast and eat low FODmaps for the rest for the week. 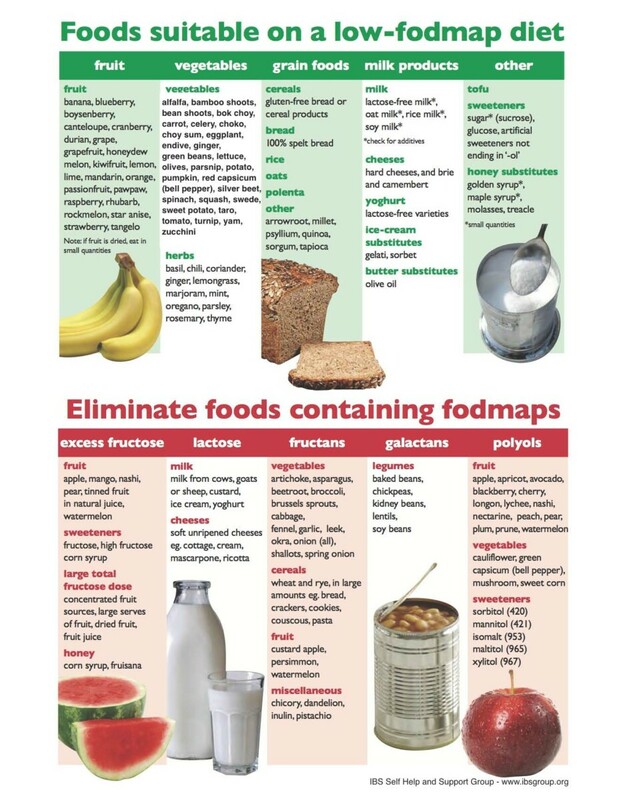 I’ll post a low-FODmaps infographic in the show notes so you can see what I’m talking about. Essentially it’s a diet that limits and eliminates many fermentable foods. Overall, the negative effects were minimal. I had a short term weight gain of 3.1kg, and maintained 2.2kg of that gain the following day. But following 48-hours of fasting and hyper regular bowel movements I weighed less the morning after I broke the fast than I did going into the challenge. Overall, the 10,000 calorie challenge was a positive experience that I will never do again. I learned what I needed to learn. I taught what I needed to teach. And I enjoyed some quality time with my friends. If you’re interested in watching the full video, I linked it up in the show notes along with all the other resources I mentioned, including the meal plans from the challenge, and the low FODmaps infographic. Just head on over to beyondmacros.com/75 to check those out. And if you’re a nutrition coach who is already working with clients and want to improve your processes, business systems, and the value you’re able to deliver to your clients head on over to beyondmacros.com/certification to learn more about the new Beyond Macros Certified coach program. Thanks again for listening, and make sure to subscribe to the show because next week I WILL actually be bringing you the episode I promised about how to reduce your environmental impact through diet without going full vegan. Thanks Scotty, Much love everybody, and I look forward to seeing you again next week!